﻿ Tamiya 42263 Moduul 0,4 gehard gecoated alu tandwiel 33T. This is an aluminum pinion gear. 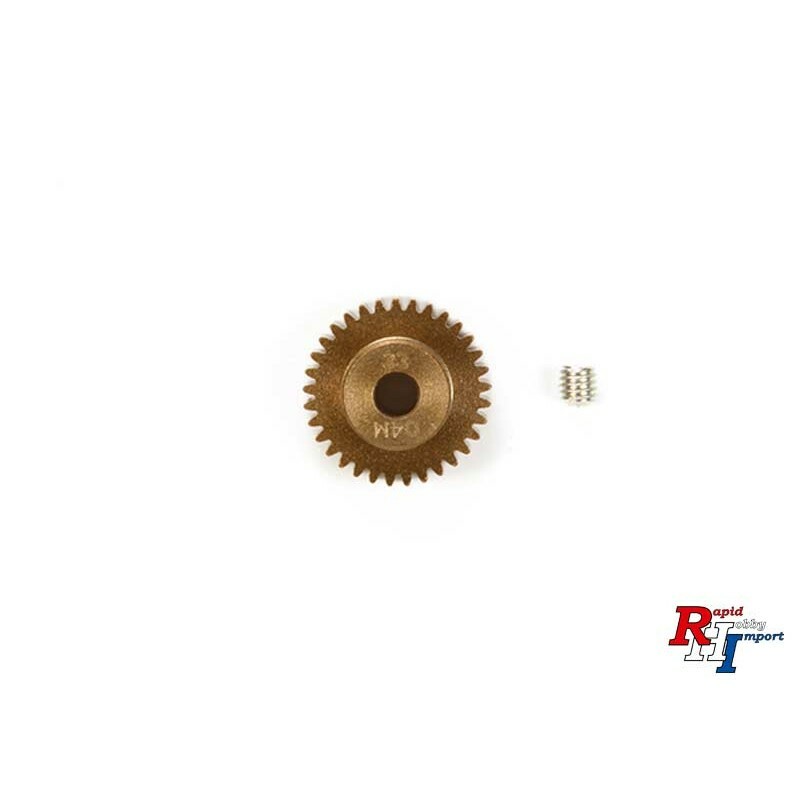 Lightweight gears are popular in modern R/C racing because they offer increased performance to any drivetrain that uses a pinion gear to drive the main transmission. 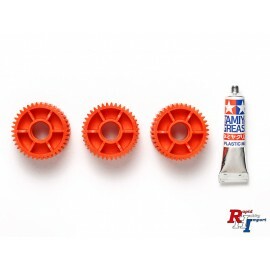 The TRF (Tamiya Racing Factory) team in its search for ultimate performance has specified these gears to have a special coating that result in greater durability and their teeth minimize friction loss to ensure smooth, efficient power transfer. These gears are available in sizes 31T through 39T. 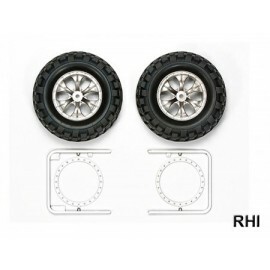 Compatible with any Tamiya vehicle that uses 04 Module gears.